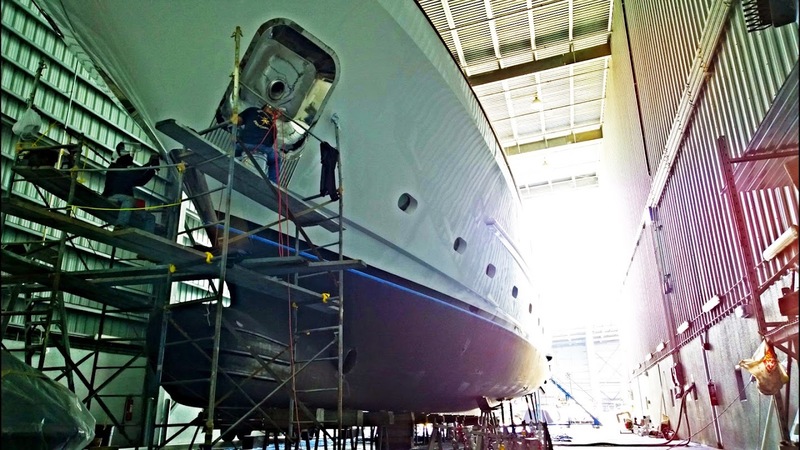 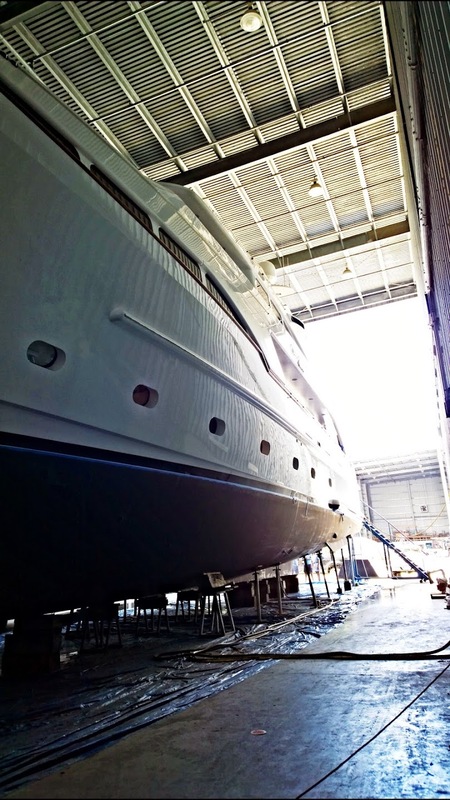 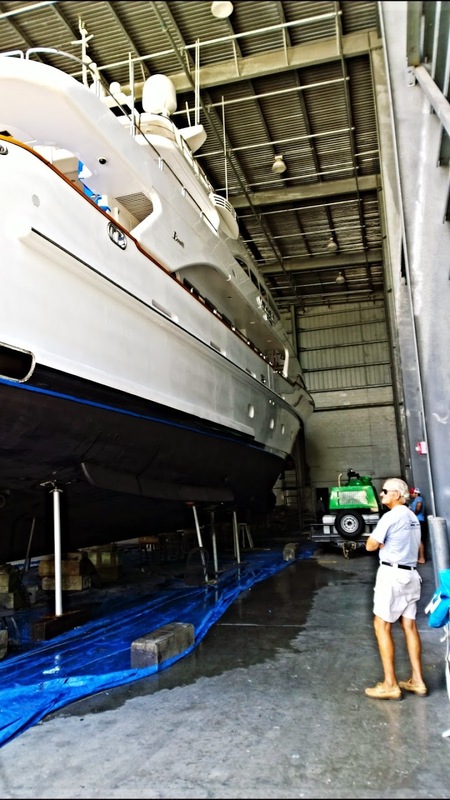 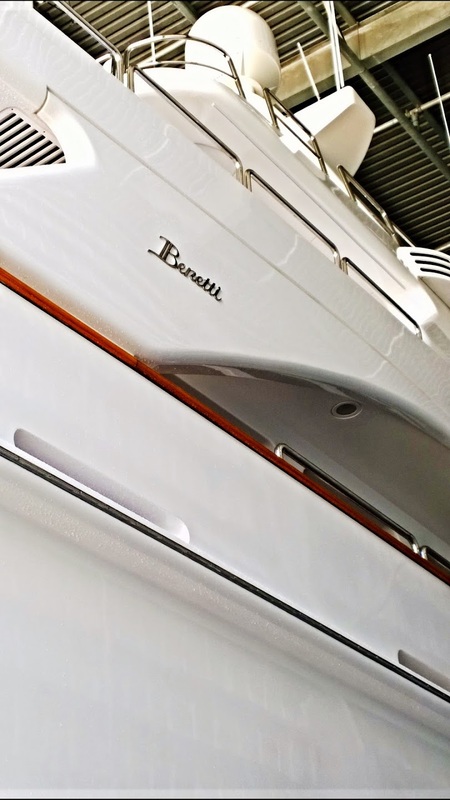 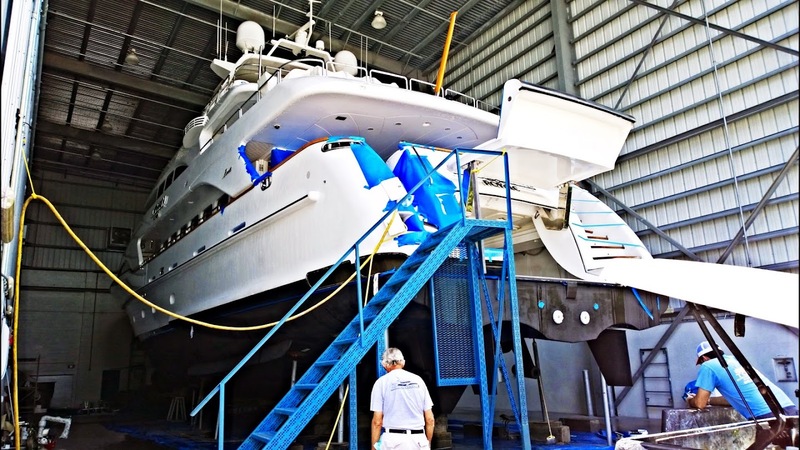 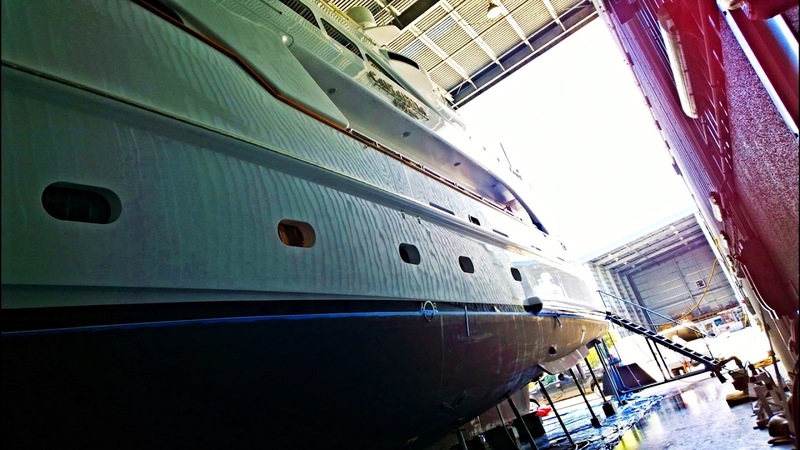 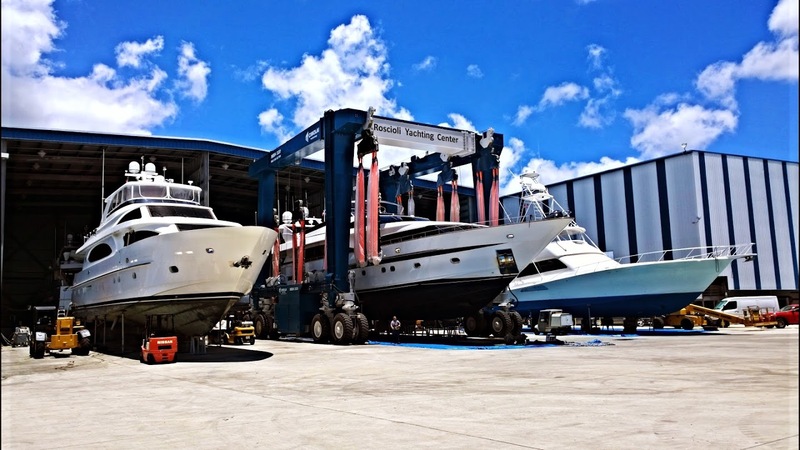 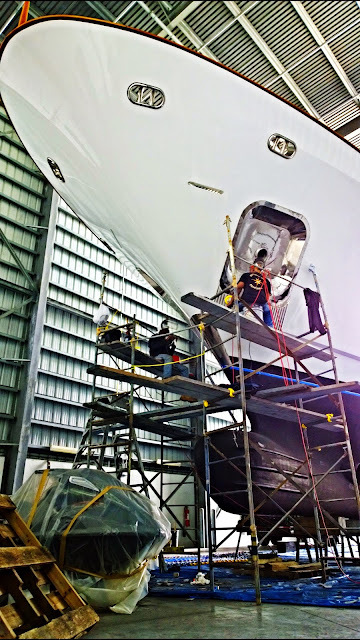 She's a 115' Italian built Benetti, we're currently back on her doing paint work at the water line level aft. 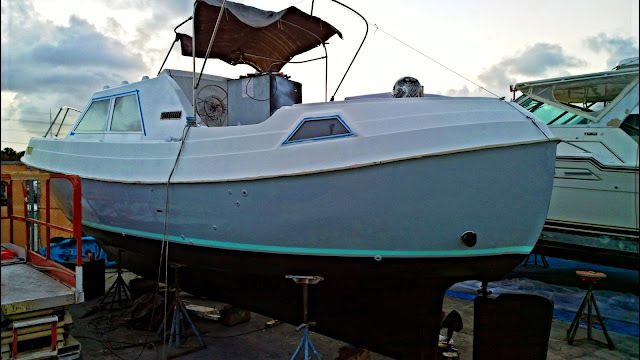 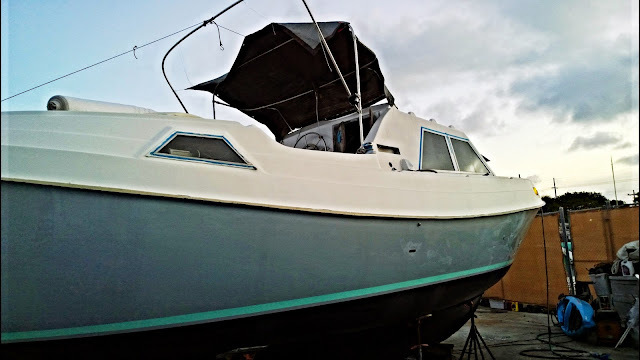 Port side wasn't as bad as the starboard, only needed like two rounds of fairing. 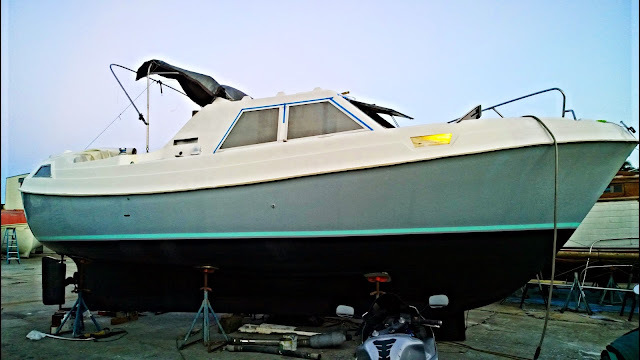 Starboard side actually came out looking pretty good. The whole gunnel now needs to be sanded out w/ 400.